The tenderloin is the most highly prized beef cut, renowned for its incredible tenderness. Whole tenderloins make a luxurious lean roast or can be sliced into filet mignon streaks. 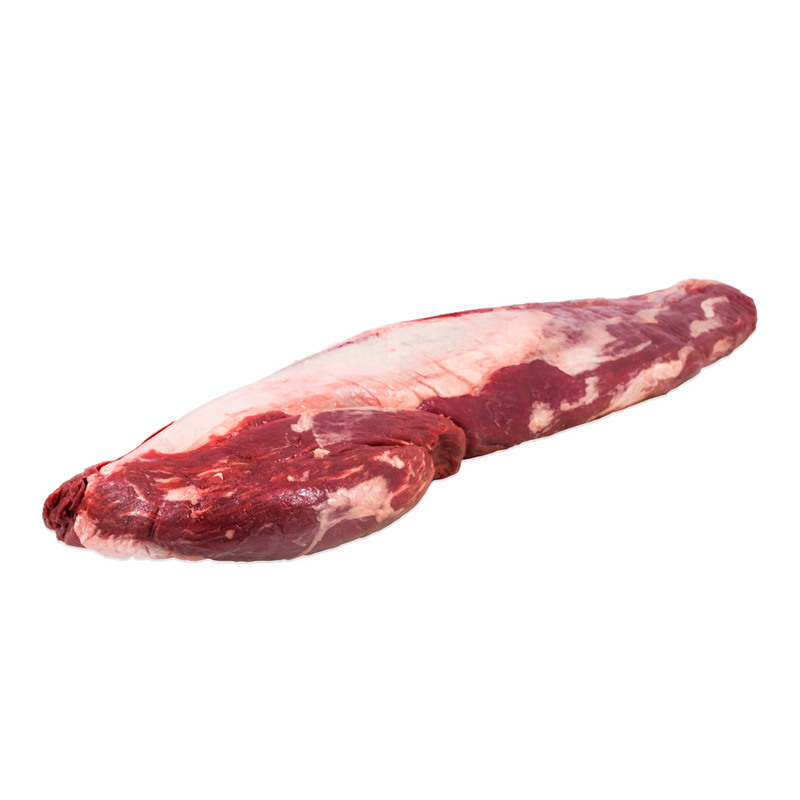 These tenderloins are sold with the side muscle on, and most of their surface fat trimmed off (189A configuration). Store fresh tenderloins in your refrigerator until you need them. Freeze as whole roasts or cut steaks for long term storage. Store frozen tenderloins & filet mignon steaks in your freezer. Thaw them before cooking. Tenderloins can be roasted whole (or cut into smaller roasts) or sliced into filet mignon steaks. Because of their milder flavor and low fat content, tenderloin roasts and filet mignon steaks are often served with sauces. Larger cuts of beef are best roasted with a probe thermometer, which allows you to remove them from the oven at exactly the right time. Because they will continue to cook from residual heat you should remove them from the oven 5-10 degrees before your desired finished temperature. 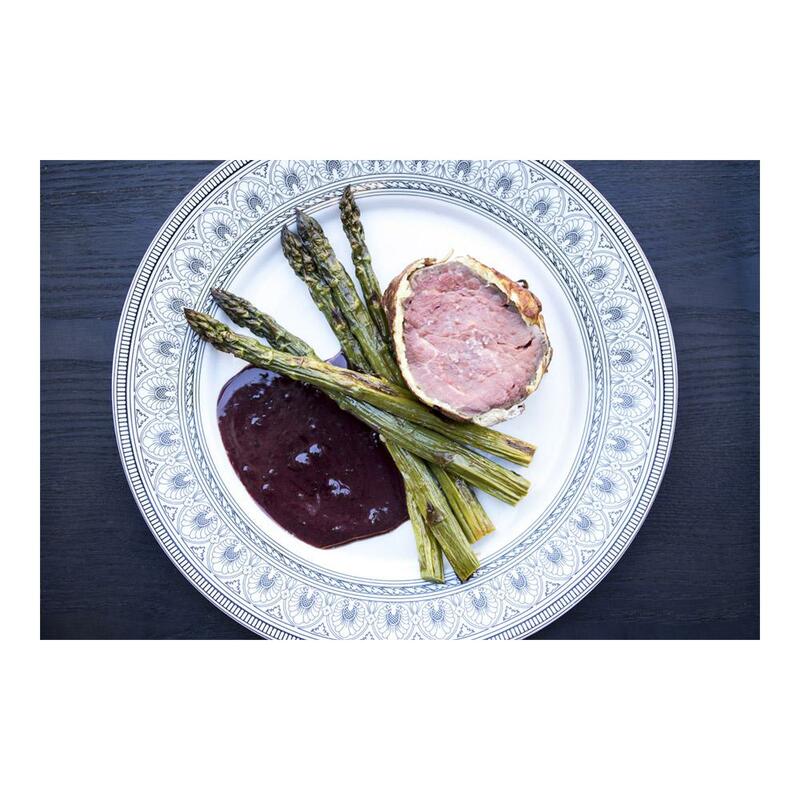 Large roasts should be rested (loosely covered in foil) for 20-25 minutes prior to serving or cutting, so the flavorful juices can thicken and don’t run out onto your cutting board. If you’re cooking individual filet mignon steaks, they only need to rest for about ten minutes before you serve them.